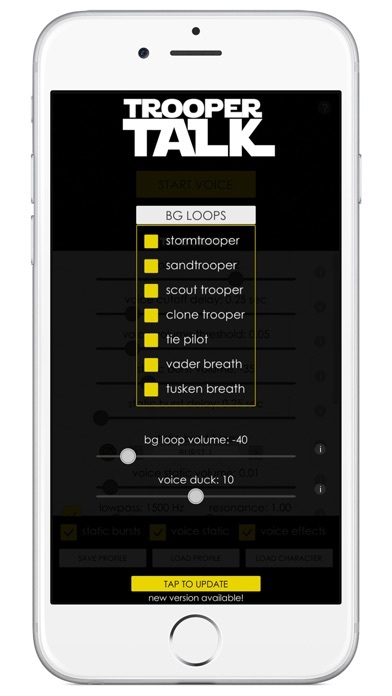 TrooperTalk is a voice emulator designed for members of the 501st Legion to use while trooping events. It is designed as an alternative to expensive voice changer boxes such as the iComm, Rom/FX, etc, but also to be flexible enough to allow recreation of many of your favorite characters. 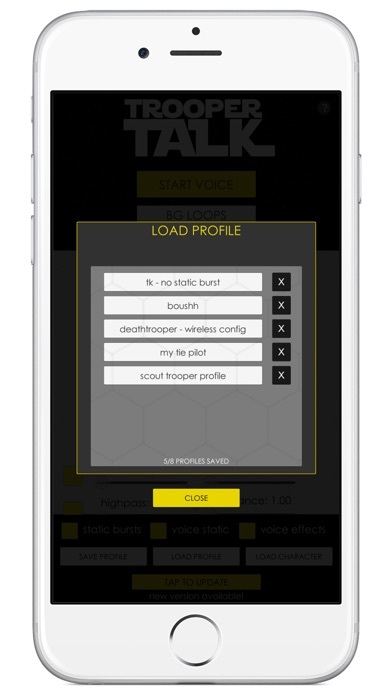 Simply plug in a mic/speaker splitter to your device, attach your microphone and amp and you are ready to sound like your favorite Star Wars character! 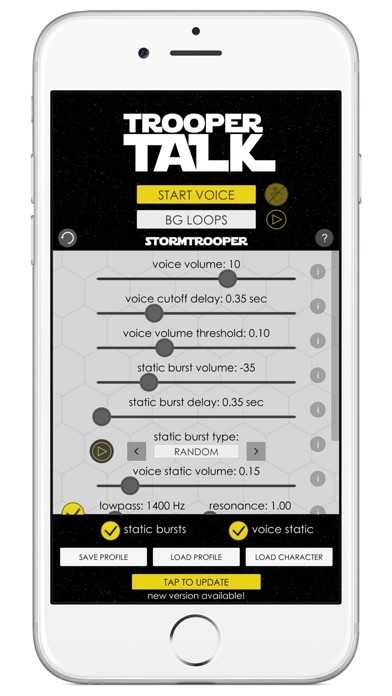 · TrooperTalk offers fine tune control over many aspects of the voice emulation such as distortion, static bursts, voice activated characters, background chatter, and more! 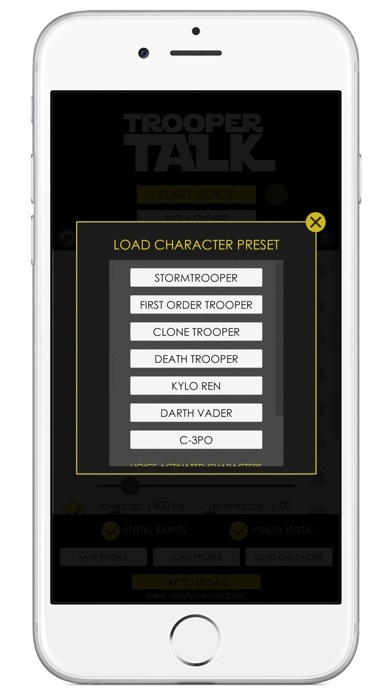 These features and those to come make TrooperTalk the most versatile and effective solution for Star Wars cosplay voice emulation!